Stormfront is the UK’s largest Apple Premium reseller with 17 stores nationwide. To deliver a top retail experience to its customers, Stormfront uses Lightspeed, a Mac-based Point of Sale system. Based on the successes in its own stores, Stormfront also sells Lightspeed, having achieved the highest level of certification with Xsilva, Lightspeed’s developers. For retailers looking to maximise their store’s productivity, LightSpeed is a powerful suite of tools that use the latest technologies, including mobile retail and e-commerce. This streamlines workflows into one, unified solution and as it runs on a Mac, the user experience is intuitive for merchants running a single store, or even a chain with multiple locations, the firm says. LightSpeed comprises of two main sections, a POS interface for the customer-facing experience and a back of house overview for admin, reporting, purchasing and more. Stock management is taken care of with LightSpeed’s inventory tools, while it is simple to instantly compile a customer’s order history as well as their stock orders. Merchants can now download the Lightspeed App, which runs on an iPad and allows retailers to showcase their products with ‘Show & Tell’. Operating on a portable device, staff can process transactions anywhere, stepping away from the traditional fixed till approach and giving customers a personalised sales experience. LightSpeed’s SRO module helps managers track bike repair jobs, record work, order parts, and bill labour. To find out more call the number below. Today’s cycle EPOS systems need to do more than just manage stock – they need to manage loyalty programmes, link with ecommerce sites and be accessible from any location, not just in-store. Cybertill does all this and more. Unlike most cycle EPOS systems Cybertill is web-based, meaning cycle retailers can access it from any location, at shows in the office or anywhere (one lucky Cybertill cycle customer uses an iPad to manage their shop in London when they are training in Lanzarote). 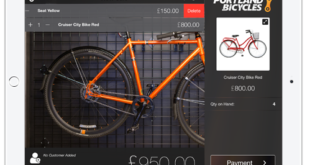 More consumers are buying bikes and accessories online so retailers need a system that can manage their store and ecommerce site as one, otherwise shops are investing ‘twice’, in an EPOS system and then in an ecommerce site. Cybertill’s new ecommerce solution offers the latest tools for making ecommerce sites a success, whilst seamlessly linking EPOS and ecommerce. Some of the features include; automated text and email alerts ideal for letting customers know products are back in stock, upsell by highlighting and suggesting associated items, easy to optimise so it ranks highly in Google and other search engines, powerful promotion engine that allows discounts at product and basket level, social media integration, customer reviews, customer “wish lists”, multiple skins, click and collect and reserve and collect functionality, simple one page checkout for consumers. Citrus-Lime specialises in multi-channel retail systems for UK cycle retailers. 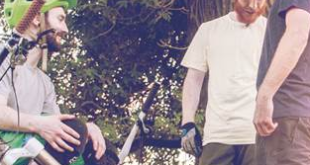 It integrated EPOS, Ecommerce and Stock Control solution is built around the needs of cycle retailers, delivering tools and infrastructure for growth, from small IBDs to multichannel franchise stores. Citrus-Lime provides everything from EPOS software, hardware, training and support, to in-house design and hosting for Ecommerce builds. The firm has gone from strength-to-strength in the trade, growing to over 75 cycle retail sites, including: Chain Reaction, a further five Giant UK franchise stores and numerous multi-store retailers and independents. CL continues to invest in infrastructure to maintain quality of support as that estate grows further and, the firm tells BikeBiz, there is heavy reinvestment of profits to fund on-going R&D. The firm has also been proactively employing staff with specific cycle retail experience into key support, training and account management roles (Kieran Smolka, David Gaule and Phil Millard, respectively). Citrus-Lime’s Supplier Integration Module (SIM) remains key for cycle retailers, offering quality supplier data and functionality via SIM. New bundle pricing enables customers to access more of their Suppliers via SIM and all key cycle suppliers and distributors are available or due in the next few months – recent SIM feeds include Zyro and Fisher Outdoor Leisure. Evopos has been designed to save time, increase profitability and provide more control over shops’ businesses. Features include POS tools, stock management, workshop organiser, and accounts control; all the things a cycle dealer needs. Evopos has an intuitive menu system that is quick and easy to navigate so users will be up and running from day one. Other benefits include the ability to instantly upload stock orders to various manufacturer web sites, meaning shops only have to key in the details of the order once, saving time. Company images can be vastly improved with professional looking invoices, Loyalty cards and targeted e-mail marketing, while automated service reminders will generate more new business and keep existing customers coming back for. A clever feature is Evopos Mobile, which allows dealers to use a smart phone or tablet device to access the system in the same way they would on a PC – essential when away from the shop. 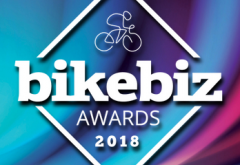 At the core of the Ascend solution is a bike shop specific EPOS system available exclusively to Trek dealers, used in over 900 bike shops worldwide, 100 of which are in the UK. Ascend uses EPOS to help dealers manage their stock, customers and sales, but also seeks to add value by encouraging a review and improvement process. Ascend Analytics provides bicycle retail specific KPI’s in an easy-to-view graphical web format, and supports the core principles of continuous improvement in bicycle stores. An experienced UK support team cover all aspects of software and hardware support all week, while monthly training courses ensure all shop staff are up to speed with getting maximum efficiency and benefit from the system. The Supplier File Programme is a central resource of product files from all key UK Suppliers, and allows population to the database within minutes. Recent developments include a Website integration solution (via a partnership with experience web business Glooware). Easy-to-use, the propriety product PinnacleApp is a simple solution to a bike dealer’s web needs. Along with a unique in-house product catalogue, the integration with Ascend allows quick and easy product upload to a site and automatic order download. Finally, a large agile development team are constantly working to improve the offering. New features and functionality are guided by feedback from the end users, with updates included as standard as part of the support package.